Present your message on a leather or leatherette wrap perfectly fitted to a travel bottle. 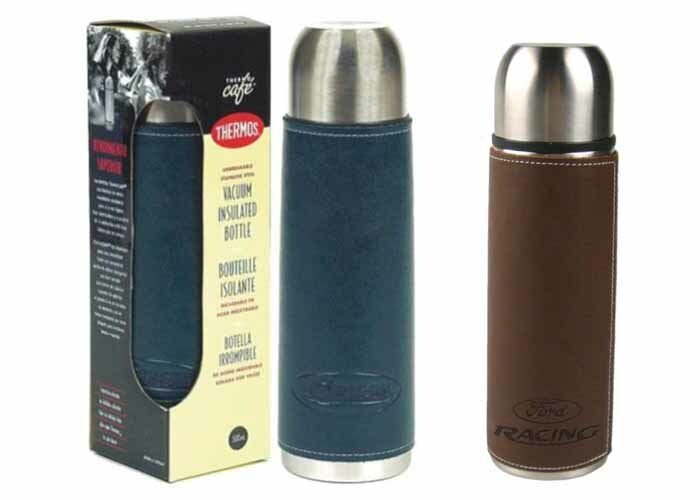 We have combined our world famous leather with an impressive stainless steel bottle from the Thermos company. This is a perfect compliment of materials that will thrill as a gift. The vacuum bottle is imported from China.